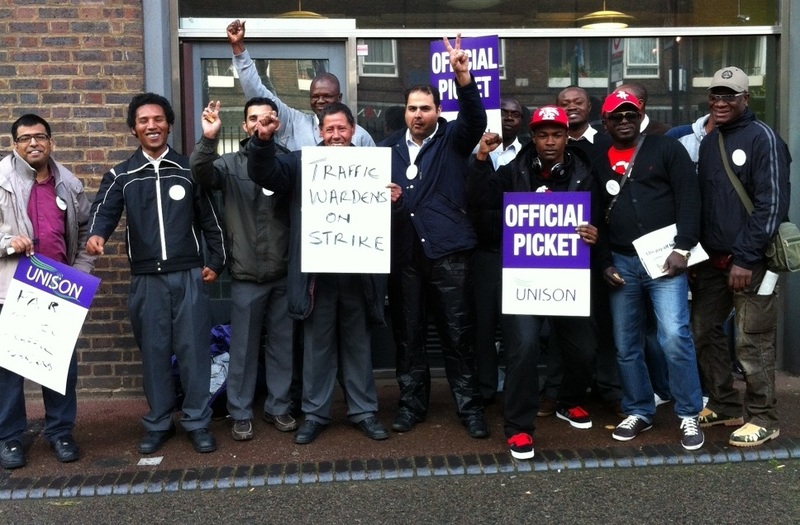 Some 160 Camden UNISON members, employed by parking enforcement contractor NSL, will mount their second strike in a month from Thursday 9 – Saturday 11 August. The three-day walkout amid the closing stages of the 2012 Olympics follows a strongly supported two-day strike on 11 and 12 July. The action comes after members, currently paid just £8.09 an hour and working a basic 42.5 hour week, unanimously rejected NSL’s latest offer. Picket lines are expected each day outside all six NSL workplaces in the north London borough with a rally planned outside Camden Town Hall (Judd Street and Euston Road, WC1H 9JE) for Thursday 9 August at 12.30 PM (Facebook event here). Barring significant concessions by NSL, UNISON will be looking to mount further action including a work-to-rule and a longer strike in the second half of August. 2. NSL, formerly part of NCP, was split off from the rest of that company in 2008 and is currently controlled by a private equity firm. It is now the largest player in parking enforcement, both in Britain and across London, with 12 local authority contracts in the capital alone. It reported an operating profit of £9.98m for calendar year 2011. 3. Camden Council originally privatised parking enforcement at the start of the last decade on the basis of two contracts. In 2009 Camden Council, then under the control of a Liberal Democrat-Conservative administration, awarded the contract to NSL, worth an estimated £44.6m over six years. 4. The London Living Wage (LLW) is calculated on behalf of the Greater London Authority and Mayor of London’s office. It was last set in spring 2011 at £8.30 an hour – more than £2.20 above the present level of the National Minimum Wage. Camden Council now pays LLW as a minimum for all direct Council employees and taken steps to introduce LLW on future outsourced contracts. This will not, however, be done on a retrospective basis with existing contracts and to date the Council has refused to intervene in this increasingly bitter dispute despite a lobby of and deputation to the 18 July meeting of the Council’s Cabinet.